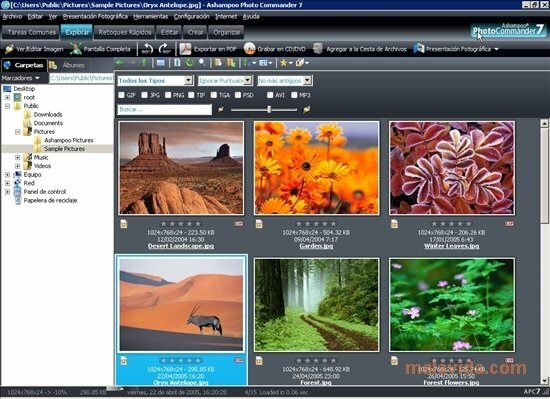 Ashampoo Photo Commander is a complete software application to manage any file in digital format, whether an image, video or audio file. One of its main advantages is the simplicity with which we can optimize our image collection at the same time that we create extraordinary photo presentations with integrated audio and video playback. 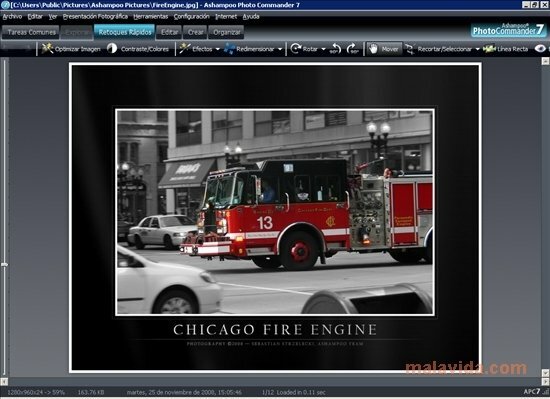 The interface of Ashampoo Photo Commander is very intuitive and easy to use. 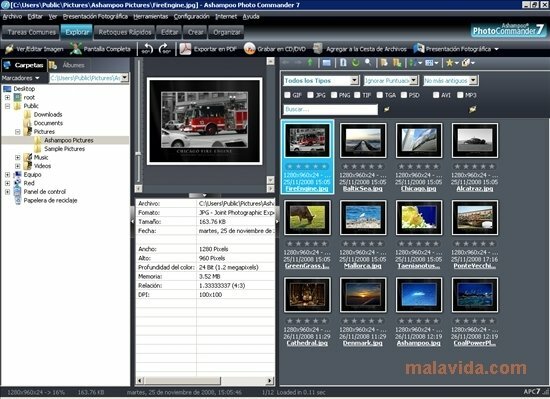 It is composed of a toolbar to access the available functions in a single click, an area on the left to explore the folders directly in search of the multimedia files (images, videos and music), a preview area in the middle and a contents area that shows all the files stored in the selected location as miniatures. The first time you use the program an assistant will open. This assistant will guide you step by step to perform the initial configuration that consists in the association of all kinds of files that will open with the application when we double click on them, and the language selection. Organize and sort your photo collections with just a few clicks. Capacity to explore and view multimedia contents on full screen. Shortcuts to print, save or send by email. 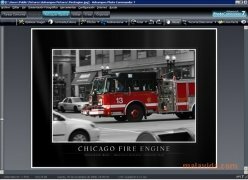 Quick creation and configuration of photo presentations. Simple image editing from the "Edit" menu or "Quick Enhancement". This last one includes tools to optimize images, adjust the contrast and color, the size change, rotate, crop, etc. Creation of albums in HTML, calendars, collages and panoramic views.